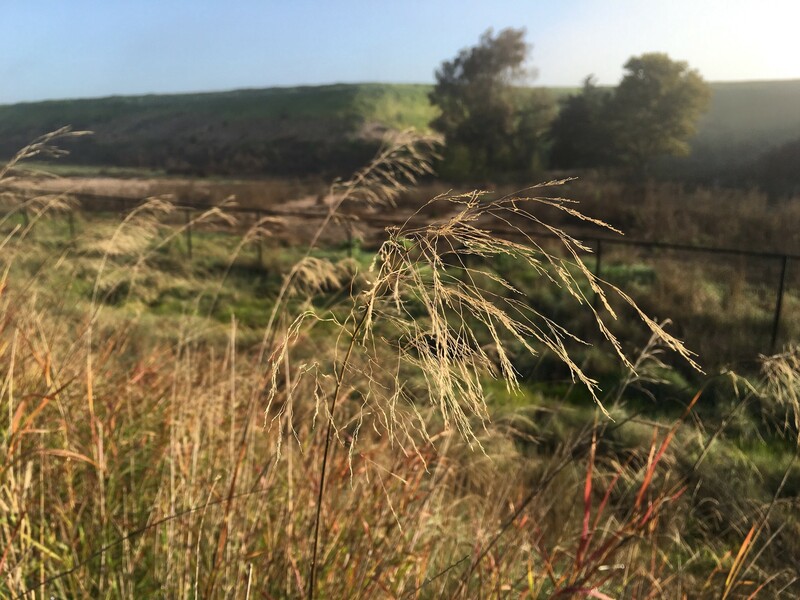 It’s a beautiful day on the baylands, and I’m walking along, looking at the tall golden grass and blossoming fennel, waiting for my kid to get out of school. I’m having a Clarity conversation with a CEO of a startup. Clarity is a tool that lets people phone you up for ad hoc coaching. Since I started writing about Objectives and Key Results, I got quite a few of them. And I wondered if he had a usual way. Or if he did them at all. I’ve heard this question many times since then, “if you can’t use OKRs to do performance reviews, how do you do performance reviews?” and wondered about it, and wondered why it confused me. But I think I know now. Firstly, using performance metrics to determine compensation is a carrot and stick approach that is outdated. The idea you set goals and then reward people if they make them is an artifact of the industrial age, and at worst a skinner box approach to managing. As well, it encourages both sandbagging and gaming results. Secondly, OKRs are not a complete management philosophy. They are just a goal setting and tracking approach. A good one, but only part of your management strategy. Finally, I think too many people want to put into place a methodology that will let them avoid interpersonal conflict. So many managers think, I can just do Agile/Lean/OKRs and and then my people will do a good job. I’ll never have to do that icky feedback thing. And the methodology fails, because it’s not a silver bullet. There is only one silver bullet in this big world of ours. It’s called talking to people. If you want to run a good company, you have to learn to manage. It looks like this. Set a clear vision and actionable goals (OKRs). Provide feedback in the form of appreciation, coaching and evaluation. Fire quickly and classily when #1 and #3 don’t work. Being a good manager is 90% having a series of difficult conversations. Each one is critical, and sadly, each one is overlooked. Writing a good job description. It’s time to stop hating and half-assing them and get good at them, because they matter. Also, much as you hate hiring, you will hate firing more. Trust me. I’d have to write a book to fully explain how to do this well, but luckily lots of other people have, so go read one. Or hire someone who knows what they are doing. Oh, that’s right, you hate to hire. Here’s a book. I’m a new GM at … a place… and doing the meet and greet. I’m talking to the folks on my team, and on teams we work with, in order to get the lay of the land. And one person and then another says, first thing, you need to fire Soandso. Next, I grab coffee with the person who held my job last, and he says, you’re going to have to fire Soandso. And I think, if that’s true, why haven’t you? I’m deeply annoyed to be gifted this problem. Finally, I set up a meeting with Soandso. I’m lucky. When I got my first job as a manager, it was at Yahoo when it was a big enough company to do formal management training. I know that if I’m going to fire anyone, it begins with documentation of the issues. Then you present the issues to the employee, and she or he responds, and agrees to change his or her behavior. Then do you do check-ins until that behavior either changes, or they are asked to leave. I’ve got all the boss language, and boss techniques. “Ok.” Soandso was pale and grim. I went through a short list of issues. Communication, documentation, listening to other’s ideas, follow through. All work related, nothing even slightly personal. “I’ve never heard that before.” Soandso said, taken aback. Soandso recounted some anecdotes of projects where the coworker’s feedback might have been accurate. We discussed that, and discussed better ways of handling those situations, and agreed to weekly check ins with a review. And Soandso got better. Much better. Soandso got promoted. At the place I worked, people were afraid to give feedback, and no one gave it. They just became more and more resentful, until they could dump their under-performers on someone else. It was a culture of politics and passive-aggressiveness, and it led to distrust. You can't have high performing teams in a culture of distrust. Trust begins with knowing where you stand. Here is your book for that. In it, the authors discuss the three types of feedback. Here my take on each, and how often I think it should be offered. Appreciation. Let people know you are glad they are with you on this journey to success. Should happen daily. Coaching: help your people get better at doing the jobs they need to do. Should happen weekly in a one-on-one meeting, and ad hoc, as needed. Evaluation: where does each person stand in their role? Are they junior, close to leveling up, starting to grow worse? I prefer quarterly for this, rather than annually, because who can remember that far back? This rhythm of feedback, from daily to quarterly, enables you to keep and grow the people you worked so hard to hire. Early feedback is easy to give, easy to take, and easy to adopt. A giant messy annual review of an employee’s every fault, stored up and marinated in resentment is a giant cluster that damages productivity and souls. Dumping your problems on someone else is just not cool. If someone does not take feedback, fire them. Fire them now. Every day they stay on the team, the rest of the team suffers. I was at another place, and there was a person there “from the early days” who had stopped doing anything useful. He just pointed out how crappy everything was. And once he had been lionized, and he still had some cred from when he was a badass. But now all he did was criticize everyone, from management to his peers, as he sat around doing nothing productive. “I’d like you to leave now, and we’ll pay you full severance.” was all I said. And he left. I was furious. He’d sat around knowing how bad he was, yet did nothing but collect his paychecks and winge. I could have screamed at him, called him a hundred names. I wanted to withhold severance, for all the damage he’d caused. But I didn’t. Because all that really mattered was that we were free of him. After he was gone, the team started to perk up. We made a few good hires, and the veterans dug back in, willing to believe in change. When you fire someone, it’s hard but it’s critical. Often it’s not even that the employee is bad at their job, rather it’s a bad fit for the organization. But every day someone who is not right for the job stays, the entire team loses faith in the organization. They wonder, why do I work so hard when this person doesn’t? Why do I try to stay committed, when this person doesn’t? Why do I bother? And one day, they stop bothering, and that this is the beginning of the end. So don’t make a fuss. Don’t get into a long debate. Don’t be cheap, pay the severance. If feedback doesn’t work, firing has to happen. When I describe OKRs to people, I say they are simple but hard. It’s a bit like the advice, “Eat Less and Exercise.” Sure it works, but who can do that? People who really want to succeed at losing weight. It’s the same if you want your business to succeed. To be successful, you have to focus on what matters. You have to say no a lot. You have to check in with your team, and hold people accountable to their promises. You have to argue about whether or not your tactics are working, and admit when they aren’t. There isn’t much complexity to OKRs, but they take quite a bit of discipline to do well. The only silver bullet is doing the hard thing. I wrote this book, if you’d like to know more about goal setting!